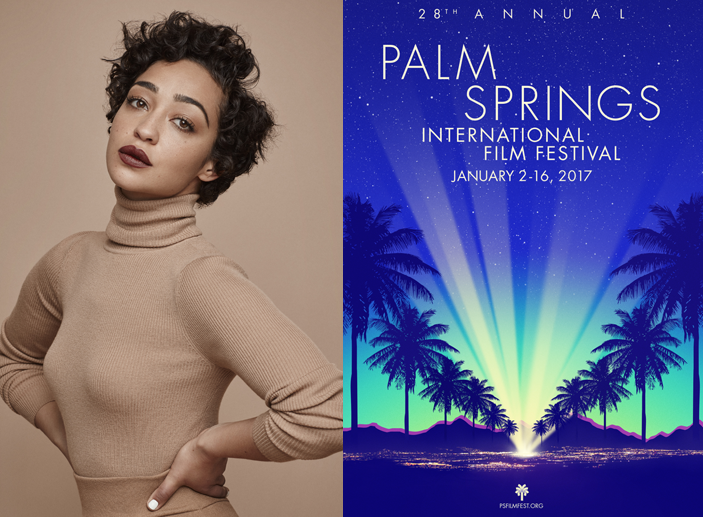 Palm Springs, CA (November 16, 2016) – The 28th annual Palm Springs International Film Festival (PSIFF) will present Ruth Negga with the Rising Star Award at its annual Film Awards Gala for her performance in Loving. The Film Awards Gala, hosted by Mary Hart, will be held Monday, January 2 at the Palm Springs Convention Center. The Festival runs January 2-16. Past recipients of the Rising Star Award include Alicia Vikander, Jennifer Lawrence, Scarlett Johansson, Anna Kendrick, Dakota Fanning, and Terrence Howard. New in theaters this month from Focus Features, Loving is written and directed by Jeff Nichols, and stars Joel Edgerton and Ruth Negga as Richard and Mildred Loving. Loving celebrates the real-life courage and commitment of the interracial couple who fell in love and were married in 1958. The couple had grown up in Central Point, a small town in Virginia that was more integrated than surrounding areas in the American South. Yet it was the state of Virginia, where they were making their home and starting a family, that first jailed and then banished them. Their civil rights case, Loving v. Virginia, went all the way to the Supreme Court, which in 1967 reaffirmed the very foundation of the right to marry. Richard and Mildred returned home and their love story has become an inspiration to couples ever since. Ruth Negga’s body of work spans award-winning theatre productions, big-screen dramas, independent films, and innovative television series. Her film work includes World War Z, The Samaritan, Breakfast on Pluto, Una Vida (a.k.a. Of Mind and Music), Noble; Jimi: All Is by My Side, Warcraft; and Iona. Negga won the Irish Film & Television Academy (IFTA) Award for Best Actress for her portrayal of legendary singer Shirley Bassey in the telefilm Shirley. Her other TV work includes Misfits, Love/Hate, the miniseries Coup (a.k.a. Secret State), Five Daughters, and Agents of S.H.I.E.L.D., She currently stars on AMC’s series Preacher. The Palm Springs International Film Festival (PSIFF) is one of the largest film festivals in North America, welcoming 135,000 attendees last year for its lineup of new and celebrated international features and documentaries. The Festival is also known for its annual Film Awards Gala, a glamorous, black-tie event attended by 2,500. The Film Awards Gala honors the year’s best achievements in cinema in front of and behind the camera. The celebrated list of talents who have been honored in recent years includes Ben Affleck, Javier Bardem, Cate Blanchett, Sandra Bullock, Bradley Cooper, George Clooney, Daniel Day-Lewis, Leonardo DiCaprio, Clint Eastwood, Tom Hanks, Matthew McConaughey, Julianne Moore, Brad Pitt, Eddie Redmayne, Julia Roberts, David O. Russell, Meryl Streep, and Reese Witherspoon.